Jaime Lloret received his M.Sc. in Physics in 1997 at University of Valencia and he finished a postgraduate Master in Corporative networks and Systems Integration from the Department of Communications in 1999. Later, he received his M.Sc. in Electronic Engineering in 2003 at University of Valencia and his Ph.D. in telecommunication engineering (Dr. Ing.) at the Polytechnic University of Valencia in 2006. Before concluding his PhD. Thesis he obtained the first place given by the Spanish Agency for Quality Assessment and Accreditation for the Campus of Excellence in the New Technologies and Applied Sciences Area. He was awarded the prize of the best doctoral Student in the Telecommunications area in 2006 according to the Social Council of the Polytechnic University of Valencia. He is a Cisco Certified Network Professional Instructor of the regional academy "Universidad Politécnica de Valencia" in the Cisco Networking Academy Program (CNAP) and he is the Legal Main Contact of UPV-ADIF (local academy of the CNAP). He teaches Local Area Networks and Systems Integration in the "Escuela Politecnica Superior de Gandia" from the Polytechnic University of Valencia. He has been working as a network designer and administrator in several companies. His academic interests and research are P2P networks, Wireless Local Area Networks, Sensor Networks and Routing Protocols. He also researches on educational approaches and strategies. He has been the director of many Ms. Degree Thesis. Associate Editor of the book "Mathematical Methods and Computational Techniques in Research and Education". WSEAS Press. Editorial Board Member of the Advanced Transactions on Sensors. Editorial Board Member of the "International Journal of Digital Multimedia Broadcasting (IJDMB). Hindawi Publishing Corporation (New York and Cairo). Editorial Board Member of the International Journal of Mobile Communications, Networks, and Computing (JMCNC). International Sciences Press, INDIA. Guest editor of WSEAS Transaction on Computers, Issue 6, Volume 3, December 2004. Guest editor of WSEAS Transactions on Circuits and Systems, Issue 10, Volume 3, December 2004. Co-editor of the "The Internacional Conference on Sensor Technologies and Applications (SENSORCOMM 2007)". Co-editor of the "The WSEAS International Conferences: MMACTEE’07, NOLASC’07, WAMUS’07, CONTROL’07, EDUTE’07". Co-editor of the "3a Conferencia Iberoamericana en Sistemas, Cibernética e Informática (CISCI 2004)" proceedings in 2004. Co-editor of the "4th WSEAS International Conference on Applied Informatics and Communications (AIC'04)" proceedings in 2004. General Chair of UBICOMM 2008, which proceedings will be published by IEEE Computer Society Press. Organization advise committee member of CDVE 2008, which proceedings will be published in Lecture Notes in Computer Science LNCS series, Springer-Verlag. Steering committee member of SENSORCOMM 2008, which proceedings will be published by IEEE Computer Society Press. General Chair of SENSORCOMM 2007, which proceedings have been published by IEEE Computer Society Press. Organization committee member of the "Cisco Systems EMEA Academy Conference 2005"
He has been in more than 40 Program Committees till 2008. Improving Networks Using Group-based Topologies. The Sixth IASTED International Conference on Communication Systems and Networks (CSN 2007). Palma de Mallorca (España). August 29-31, 2007. Televisión en Internet. I Jornada sobre medios de Comunicación e Interactividad (Interactiva’06). Gandia, Valencia (Spain). December 15, 2006. Tecnologías, Usuarios e Impacto Social. Workshop R@adio’05: Desde Marconi hasta la Sociedad de la Información. Gandia, Valencia (Spain). February 17, 2005. 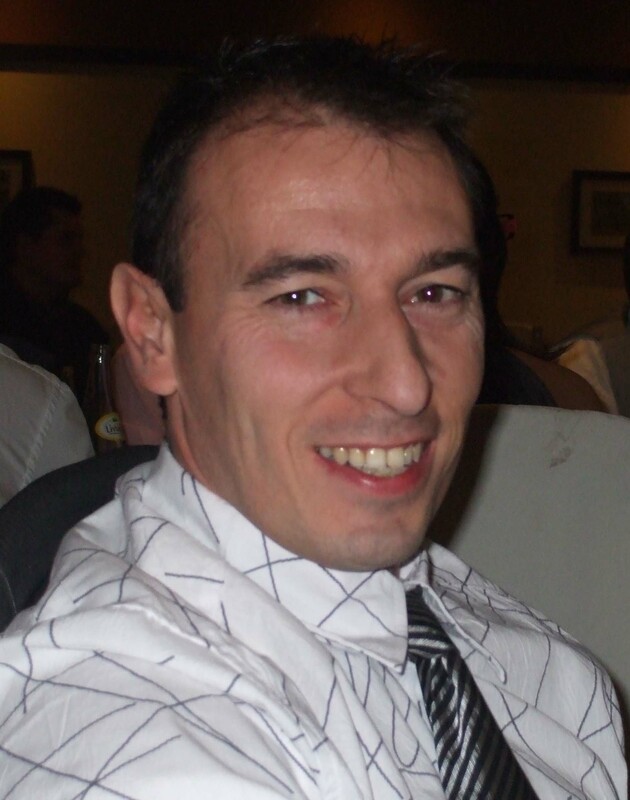 Dr. Jaime Lloret has been involved in many projects. The following are the main ones taking into account their content or their impact. Multimedia C4ISR for Emergency Management. Development and evaluation techniques for wavefield synthesis to play MPEG-4 3D sound. Wireless LAN design for video transmission in the educative and scientific spreading project Explora El Encín. Traffic control system for Valencia City. Multimedia System to monitor the traffic Valencia. WLAN radio design of the Polytechnic University of Valencia (Vera Campus, Gandia Campus and Alcoy Campus). WLAN design and development of the training and selection centre of RENFE (now ADIF). A group-based architecture for wireless sensor networks. It is being designed and simulated using OPNET. A sensor-based system for fire detection in forests. Design and development of a fault-tolerant protocol for railway sensor systems. Wireless LAN Design of a rural town (Alustante). Dr. J. Lloret is IEEE member and he is a Technical Program Committee member of IARIA, IASTED, WSEAS and IIIS. You can read more about Jaime Lloret at News@Cisco.